Getting to know Romania. What can we expect for the future of the EU foreign policy? A brief discussion with Francesco Magno, PhD student from Trento University, living in Bucharest. 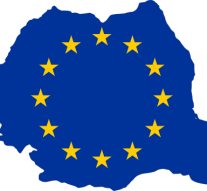 Romania is a member of the European Union since January 2007, and it has just taken over the presidency of the EU Council. Its particular history and geopolitical role could explain a lot about the tenure of the EU foreign policies and the strategic goals that Romania intends to achieve along the semester. Together with Francesco Magno, PhD student in history of Central and Eastern Europe at the University of Trento and editor of East Journal we will briefly discuss the main topics related to the Romanian presidency and the probable future developments of the EU foreign policy. Romania has a long and troubled history and possibly the near future does not seem to change the course. During WW II Romania stood among Germany’s acquaintances, and in the aftermath of this terrible conflict this country was painfully deprived of two important regions: Bessarabia and Northern Bukovina, before joining the Warsaw Pact in 1955 and, more generally, the Soviet’s area of influence. During the Cold War, relations with the main partner of the alliance got worse especially during the ‘60s. Nicolae Ceausescu, the modern Romania father, took the power in 1965 and in 1974 he became President of the Romanian Republic. The Communist leader Ceausescu paved its own way – the Romanian way – to Communism. This of course led to harsh oppositions and frictions within the Communist world, underlining the weaker and weaker control of Moscow on the other Eastern “sisters”. Ceausescu installed one of the most repressive regimes ever known in all the Eastern countries, attracting all the power in his family hands. Characterised by the lowest industrial product, and one of the highest illiteracy rates of the entire region, Romania has experienced tough years until 1989, when Ceausescu and his family were finally overthrown. Following Ceausescu’s fall, Romania has been hit by enormous imbalances and high unemployment due to the difficult transition. Those political and socio-economic aspects were particularly hard to settle, so that, as the Romanian President of the Republic Klaus Iohannis recently put down, “Romania is not ready for the EU presidency, yet”. Despite the impressive GDP growth rate and the accession to the EU in 2007, Romanian society still suffers from many longstanding problems. Firstly, corruption is widely spread and not just in politics. It pervades every field of the Romanian society: judiciary, healthcare system, education. For example, it is commonly accepted to bribe surgeons to skip their waiting list at public hospitals. Secondly, regional discrepancies clearly split the country. On one side, the developed north-west, with its connections to Central Europe; on the other side the former Ottoman lands (Walachia and Moldavia), characterised by high illiteracy rate (especially in the countryside) and a disconnected road network. As far as the political system is concerned, over the last 20 years political awareness of Romanian people surely raised. However, several blind spots still survive. For instance, illiterate peasants abandoned to the mercy of corrupted politicians, a long and cumbersome legislative process, an everlasting tension between government and presidency. The Romanian president Klaus Iohannis clearly stated that “Romania is totally unprepared for EU presidency”. This was an implicit attack towards the government, with whom he has been fighting for months. Indeed, since 2003 the presidential term does not coincide with the parliamentary one anymore, being the former raised from 4 to 5 years. That has resulted in the possibility of having the president and the government from two opposing camps. The persistent tensions between presidency and government hinder the ordinary course of political life in Romania, even more so if we bear in mind that at present Iohannis represents the only real opposition to the Social-Democratic Party. The main opposition party, the National Liberal Party, has been living an everlasting leadership crisis, which has progressively eroded its political strength. The current coalition government is formed by the Social Democrat Party (PSD), the majority party, and a smaller formation called the Alliance of Liberals and Democrats (ALDE) who professes themselves to be liberal-democratic but who really does not have a real political project. The PSD, although part of the family of the European Socialists, is a substantially Conservative party. The contradiction is explained by looking at the history of the country. The PSD is in fact the heir of the old Romanian Communist Party, of which it has taken on many of the positions: nationalist rhetoric, economic policies based on state assistentialism, total closure on the subject of civil rights. The real strength of the PSD lies in its capillary ramification throughout the national territory, also a communist inheritance. No party can boast the same strength and territorial organization as the PSD. European Commission Jean-Claude Juncker during the same ceremony, said that “the European Union is made of compromises, but when it comes to human rights, legality, the fight against corruption, there can be no one”. Romanian society is one of the most pro-European all over the continent. For Romanian people, the European Union means economic development, fight against corruption and, more than anything else, travel freedom. During Nicolae Ceausescu’s regime it was extremely hard to get a passport and flee the country. Lots of Romanians died in the 70’s and in the 80’s, shot by border patrols or drowned in the Danube, while they were trying to cross the border. Even though Romania is not in Schengen area yet, travel freedom is one of the aspects Romanians love the most about EU. Recently, the PSD’s leader Liviu Dragnea harshly criticised the EU, claiming a new leading role for Romania in Europe. His goal was drawing attention away from his legal troubles, pointing at an external enemy. However, Dragnea’s attitude did not undermined Romanian Europeanism. An Europeanism nourished more by idealism than by an actual knowledge of European institutions. Within the international context, after the fall of the “Bipolar Era”, Romania moved away from Moscow while entering the euro-atlantic political dynamics, becoming part of the NATO in 2004 and, as we mentioned before, three years later Romania joined the European Union together with Bulgaria. Romania is one of the biggest countries of the region in terms of territorial extension and population. Its own borders represent the very Eastern borders of both the EU and NATO, so that today Romania is considered a strategic partner for both the organizations. Romania has peaceful relations with a huge number of the neighbouring countries. Good relations with everyone but a famous exception: Ukraine, due to a never-ending territorial dispute over the mouth of the Danube and the Black Sea. This area is geopolitically crucial for Romanian foreign policy: the access to the Sea is important for trade and for the likely development of energy infrastructure connecting the East to the West. This is one of the many reasons why Romania is one of the founding members of the Black Sea Energy Cooperation (BSEC) organization, from 1992. As for the non-EU neighbouring countries, Romania has very good relations with Serbia: for this reason, Bucharest opted not to provide recognition to Kosovo. On the contrary, relations with Russia keep on being pretty nervous, in particular after Romania joined NATO in 2004 and provided the United States army with a number of strategic bases. NATO forces recently took advantage of these bases in order to develop a wide range of military training in the aftermath of the Ukrainian crisis exploded in November 2013. To this already complicated scenario, it should be mentioned the participation of Bucharest in the programme of sanctions against Russia, targeting mainly the oil and the financial sectors. All these elements are of course perceived as a threat by Moscow not just for the common border, but, more generally, in terms of influence in the entire Eastern area. Romania responded to Russian concerns by reinforcing euro-Atlantic relations and reaffirming its crucial role within the NATO framework. Given its geostrategic relevance and its peculiar position against Russia on several topic of foreign regional policy – competition for access to the Black Sea, both the Moldavian and Transnistrian status, and border issues with Ukraine – Romania is one of the most vulnerable countries (after the Baltics and Poland) to a downgrading of mutual relations with Russia. « Previous Article Can Romania really make it?